We're just back from Italy where we tasted at Allegrini's Palazzo della Torre vineyard. I've seen the Allegrini label around for years but it wasn't until tasting their wines at Wine Spectator Grand Tour Dallas that I mentally put the location of Valpolicella and Amarone on the map. 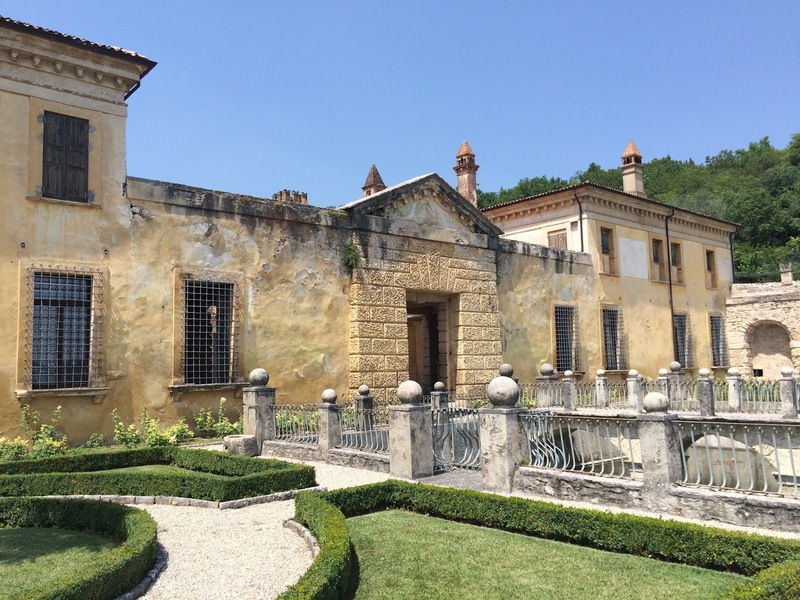 Valpolicella is situated just north of Verona and makes for a perfect day trip pairing. We were staying on nearby Lake Garda and were able to visit both on the same day with ease. Allegrini is a high quality, high volume producer. We had our kids with us so we were looking for an informal visit that we didn't need an appointment for. Villa della Torre hit the spot. Allegrini has other projects in other parts of Italy but we chose to focus on their local offerings, which meant Valpolicella and Amarone. First, a little background. Valpolicella is a place. The main grape in a Valpolicella wine is Corvina Veronese, along with Rondinella and Molinara - and some other permitted varieties. Valpolicella is typically light to medium bodied, with appealing fruit and, for me, often presents distinctive black pepper aromas. Amarone (also known as Amarone della Valpolicella) is a bold red wine made from dried grapes. Alcohol levels are higher (often north of 15%) and the wine can be quite rich. It invites another sip with its luscious personality balanced with acidity. 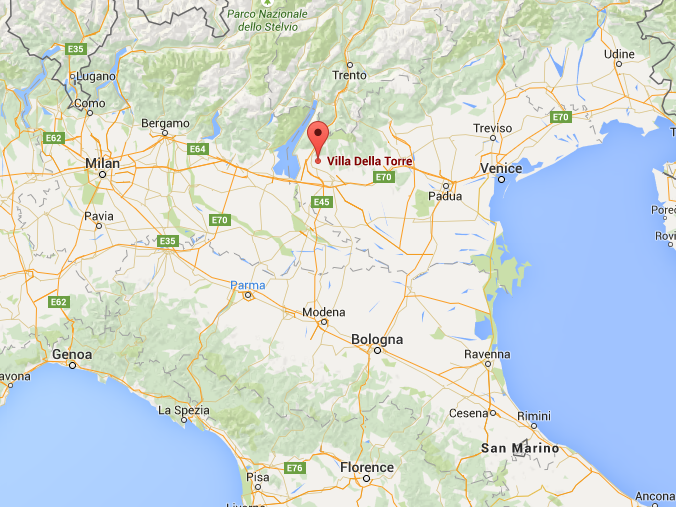 Situated between these two, price-wise and stylistically, is Valpolicella Ripasso. Made with fresh wine "re-passed" with dried grapes in a second fermentaion. We started off tasting their two Valpolicella wines, denoted by the DOC labels around the neck of the bottle. They were terrific. My first experience with Valpolicella was on our honeymoon Mediterranean cruise. We drank an entire bottle of wine together for the first time and felt like party animals. It was "just" a cheap bottle of Bolla but I really liked the style. These offerings from Allegrini, both the entry level and the Superiore, are solid wines I'll definitely work into the mix next time I'm looking to round out a mixed case of daily drinkers. You can find their regular Valpolicella at retailers for around $16. This is a wine worth spending some time considering, having made Wine Spectator's Top 100 list 6 times. I've seen the label around forever but hadn't internalized that it is essentially a Valpolicella Ripasso but not labeled as such. It's made from 70% Corvina Veronese, 25% Rondinella, and 5% Sangiovese. Most of the grapes are fermented as soon as they are harvested, while the rest are set aside for appassimento. In January, the pressed, dry grapes are added to the previously made wine, giving rise to a second fermentation. It's bright and fruit forward with a hint of the stuffing that makes Amarone so appealing. It's got balanced acidity and tremendous structure that's very difficult to achieve at this price point. You can find this wine for $14.99 here in the US if you look around. I've got to try more of this on my home court - might need to nominate it to the QPR Hall of Fame. 220,000 bottles were produced and 30,000 cases were imported to the US. The Palazzo della Torre vineyard is cited adjacent to the gorgeous Villa della Torre we visited. These two wines were presented side by side, although their price points are quite different. La Grola (not to be confused with La Gerla) goes for as little as $20 here whereas La Poja sells for well north of $60. La Grola is a blend of 80% Patrimonio delle Corvine, 10% Oseleta, and 10% Syrah. La Poja is 100% Corvina Veronese. Man, I'm getting thirsty just writing about these wines. La Poja is a big, serious, wine that competes on the international stage for acclaim. I didn't realize the La Grola was so affordable. With a retail price of $35 and street pricing in the $20s I'd pick up a bottle of it if I saw it. I didn't take great mental notes on these two as I was both pondering the Palazzo della Torre and looking forward to the Amarone. Tasting Allegrini's Amarone was the main reason I wanted to visit and it didn't disappoint. It is an absolutely beautiful wine. A gorgeous nose of perfectly ripened fruit with silky mouthfeel and a luscious finish that keeps inviting you back for another sip. The 2010 vintage was rated 93 points by Wine Spectator. With an $85 retail price it's not cheap, but you can sometimes find it at discounters in the $50s. More commonly in the $60s. 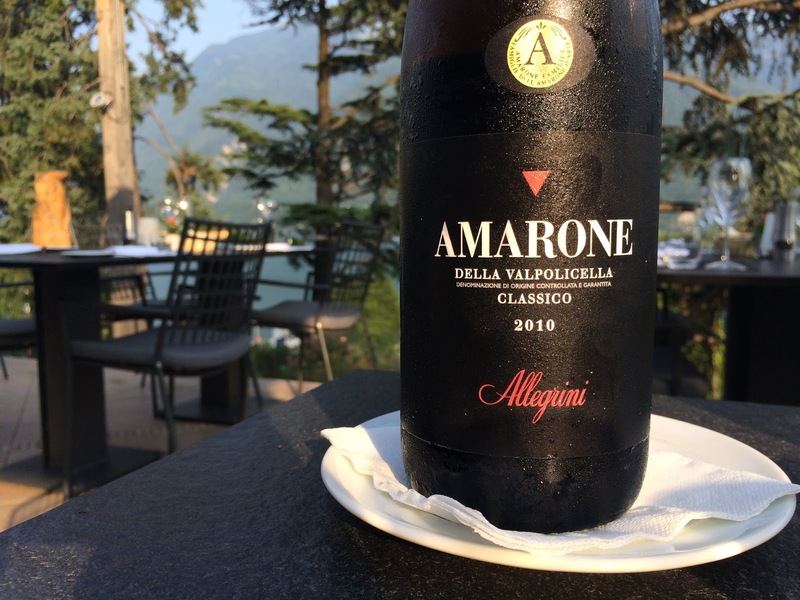 The 2010 Allegrini Amarone was a delight to taste, both at the winery then later at dinner at Parco San Marco on Lake Lugano. They've got a kids club there so we enjoyed dinner just the two of us on their glorious La Masseria terrace overlooking Lake Lugano. It was hot as blazes while we were visiting but the waiter chilled it down to the perfect drinking temperature for us. So good. 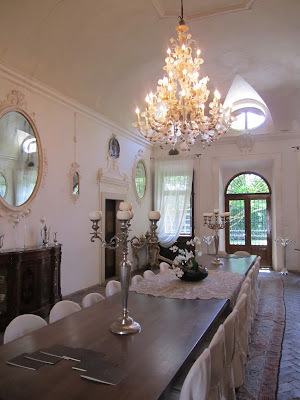 After our tasting I got a quick tour of Villa della Torre. 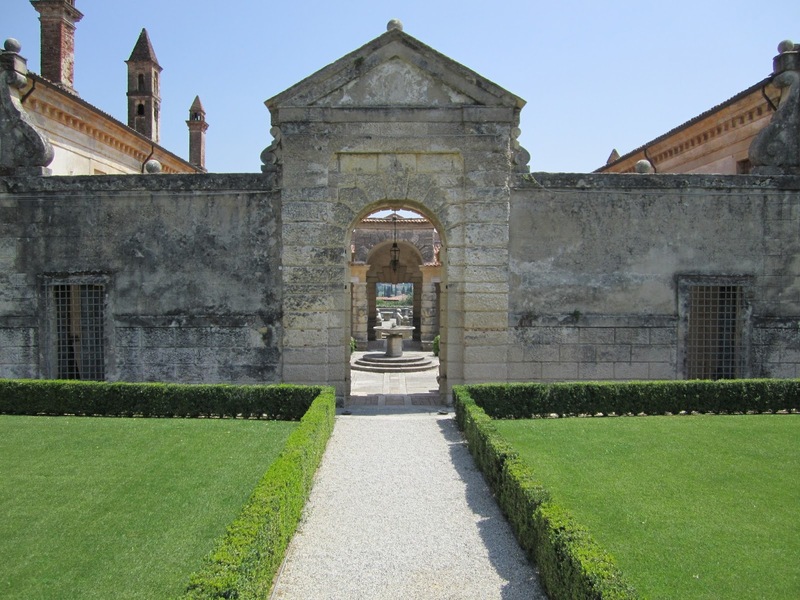 Originally completed in the 1500s, it has been painstakingly restored. 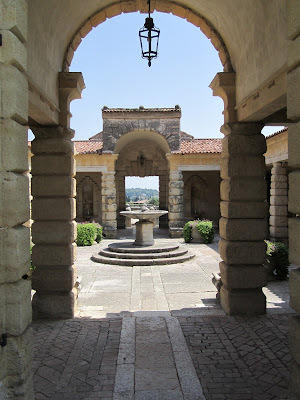 I especially appreciated the sight lines you'd get as you looked from an entry point of the property through aligned archways with an amazing view in the distance. Truly spectacular. 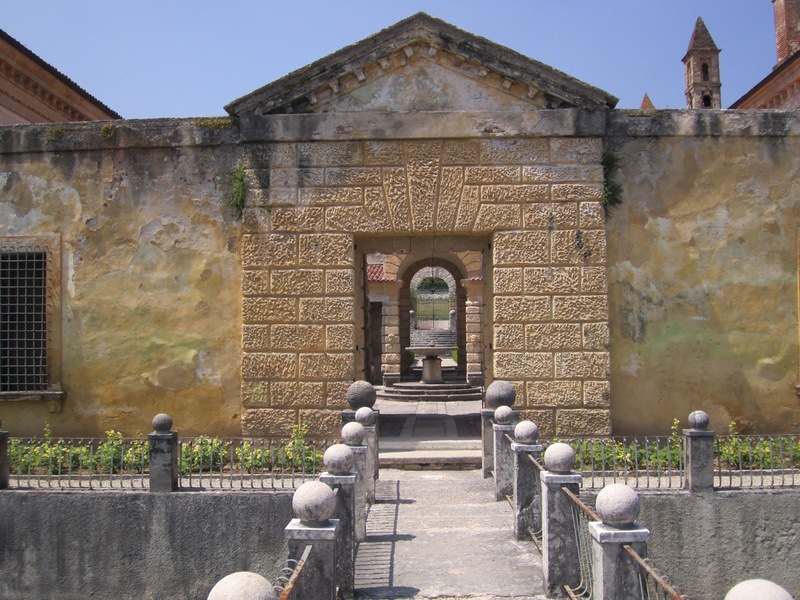 A visit to Allegrini's Villa della Torre is highly recommended if you're in the area, or need a reason to be in the area. Their Amarone is a benchmark bottling you'll likely see around, and worth a splurge for a special occasion. The Palazzo della Torre bottling is one I've seen around and should have tried sooner - it's a great QPR wine. Their Valpolicella is a textbook example, and their La Grola bottling is compelling if found in the $20-$25 range. 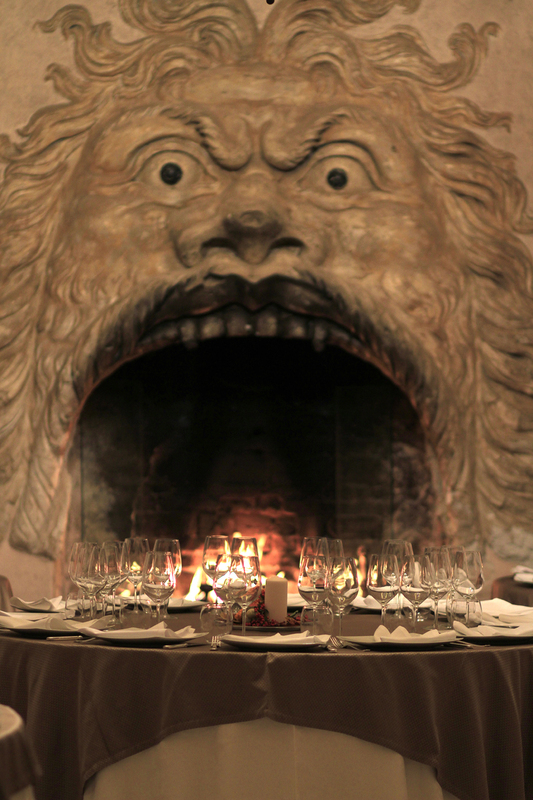 Question of the Day: What are some of your favorite Valpolicella and Amarone wines?